Noel Notions are going into my shop today! See my last post for the new items that will be appear. I'll be turning the shop off for a while so that I can update the new items. Everything will be available at one time when I open the shop back up. Look for the shop update at 3:00 pm Central Time. Note: Some items are in very limited quantities, especially any of the vintage kits. Once they're gone, they're gone. However I am working on some more of these (all one of a kind) to add to the shop a little later on. Note: If you get to the checkout section and the shipping seems high, just go ahead and check out and send me a note to check your actual shipping costs at the post office. I'm happy to refund your PayPal account for excessive overages. It's so hard these days to estimate shipping costs, especially when you have lots of items on your order. Note: Forget to add something to your order? Go ahead and place another order and I'll combine the shipping & refund the overage amount back to your PayPal account. Note: Did something sell out that you wanted? 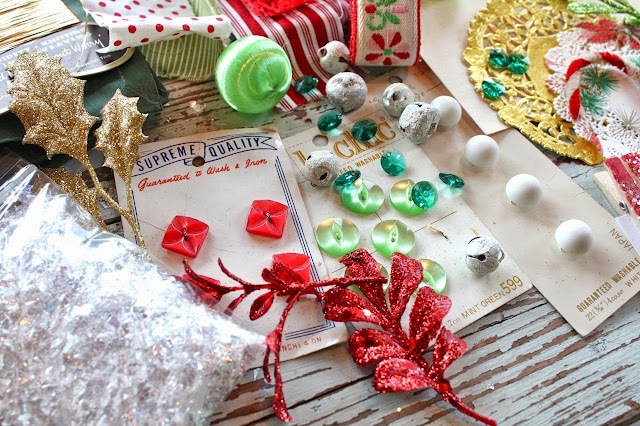 Shoot me an email and I can see what I can do to add more to the shop this crafty season. Note: Shipping will start on Tuesday of next week. I have a busy weekend and Monday full of volleyball and family events and will start packaging on Monday. Note: Enjoy my goodies and happy crafting to you this holiday season! !